Manage and oversee the areas of accounting, payroll, and financial reporting for the company; including but not limited to AIA billing, WIP analysis. Broad range of day-to-day accounting, keeping an accurate picture of the company’s financial status at all times. Prepare timely job costing reports to monitor job progress and profitability. Participate in the month-end and year-end close process. Process or serve as the back-up for accounts payable, cash applications, and payroll. Work with outside CPA firm to create accurate financial information for management in a timely manner. 5+ years of general accounting/financial analysis, construction experience required. Experience with percentage of completion accounting and WIP reporting is also required. 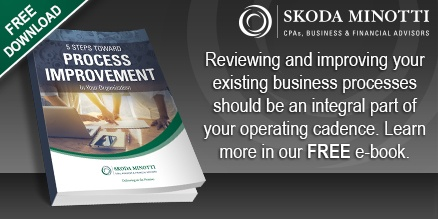 Strong business acumen and understanding of inter-related business processes in a small to mid-sized business. Additional experience with payroll, construction compliance helpful. Ability to meet deadlines, multi-task and have strong attention to detail. Local candidates only, no relocation. This entry was posted in Professional Staffing and tagged Accounting Manager, client, construction, experience, job, opportunity, Professional staffing. Bookmark the permalink. Follow any comments here with the RSS feed for this post. Comments are closed, but you can leave a trackback: Trackback URL.